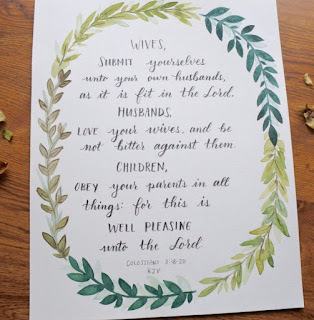 The entries for the Sweeter Than Honey KJV “Family Rules” Painting Giveaway were written, cut out & put in a bowl for the random drawing this morning. Our winner was chosen today by my happy little helper Caleb. And the winner is Carissa Newman! Congratulations Carissa!! We are so happy for you!! Don’t forget Sandra at Sweeter Than Honey KJV is still offering a 10% discount on similar “Family Rules” paintings for all my readers until Wednesday, March 7! Use promo code SSA10. Thank you Sandra for sponsoring this awesome giveaway with your beautiful painting! We love your work and really appreciate you! Thank you everyone for entering. And thank you all for following me on Facebook or here on my blog. It really means so much to me! Stay tuned for more fun giveaways like this in the future! Congrats to the winner! I never have much luck but it is still always a lot of fun entering contests anyway (haha)! Thank you for your entry! You never know, you might win the next one! 🙂 And thank you for congratulating the winner. That’s awesome!